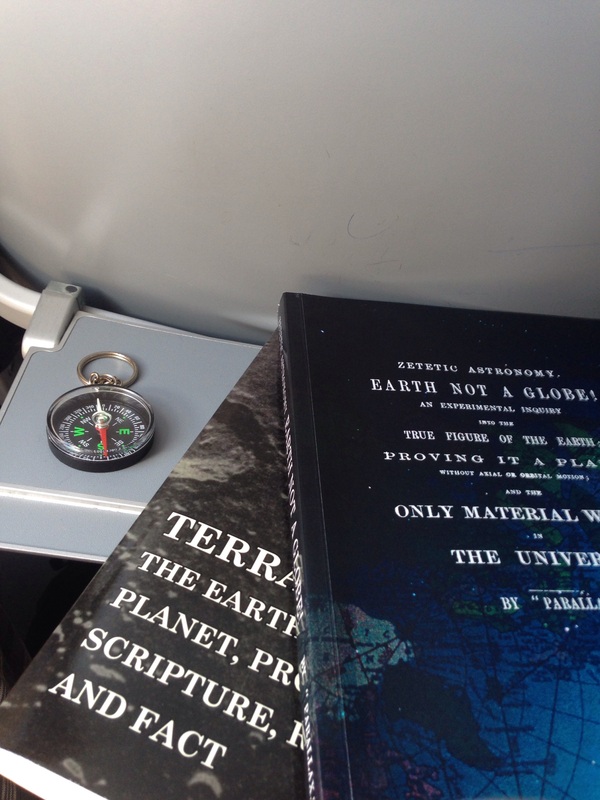 So I had a 3 hour conversation with the fine gentleman sitting next to me on the airplane, after he kindly asked about my books and compass we obviously had quite a bit to talk about. Later letting him thumb through a couple of flat Earth books (Zetetic Astronomy, Terra Firma). He looked at me and he said “You know what, this all makes way more sense than what I learned.” And he looks out of the window pointing his finger at the horizon and says “Look it’s exactly at our eye level!!! Why aren’t we looking down at it? This makes no sense!!”. After the flight he told me “Thank you for sharing all of this with me or else I never would have even paid attention to it” and asked to the write down the names of the books and said he would be buying them. What a great experience it was to sit next to someone that wasn’t necessarily looking for the truth, but when presented with it, was able to humble himself and see it. This is why we can’t be quiet about this my brothers and sisters. There are people out there that are looking for the truth and don’t even know it. It is our job to be the beacons of truth and to help inform anyone that is willing to listen. God bless you all. Wonderful and rare exchange! Thank you. I see the term “eye level” used often, but I’ve not seen any method of measuring what or where it is, and how to figure out if something is above or below it.